It's her big day and everything must be perfect! 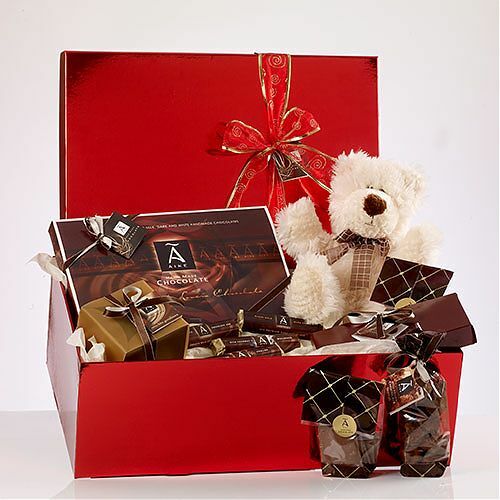 Chocolate perfection comes in the form of our Bride's Luxury Gift Basket. Includes a box of twenty-eight luxurious handmade chocolates, a Large Chocolate heart, a bag of 'melt in the mouth' truffles, four 100g bars of smooth milk and deliciously dark chocolate, two bags of broken chocolate, two 50g bars, four Hot Chocolate Swirl Sticks, a box of Irish Cream Liqueurs(6 sweets).